Nothing screams "slacker" quite like killing an afternoon in a coffee shop. But even though Richard Linklater's '90s loafer vision of Austin has long since passed, the city's coffee culture still thrives. Although it seems like every street corner now boasts a barista carefully dripping concentric circles of 205-degree water over single-origin beans, not all pour-overs are created equal. We've compiled a list of the very best coffee shops in town, from beloved community institutions to the newest caffeinated kids on the block. 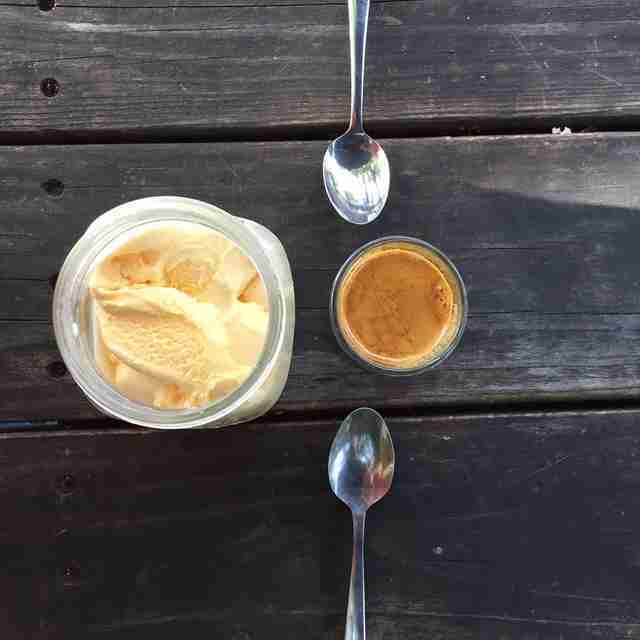 The newest caffeinated kids on the block, Fleet is helmed by a pair of Austin's most well-known baristas, one of which received death threats on this website for his opinions on grocery store coffee. The tiny Webberville Rd shop changes roasters seasonally, and is one of the only places in town to score revered beans from Madcap Coffee out of Grand Rapids. 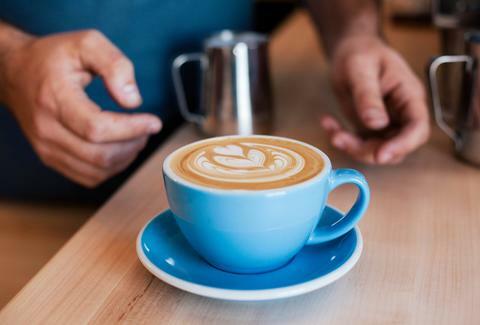 You can't go wrong with a straight shot of espresso, but the “Coffee and” menu boasts some of the most creative drinks in town, including a cortado made using donut-infused milk. 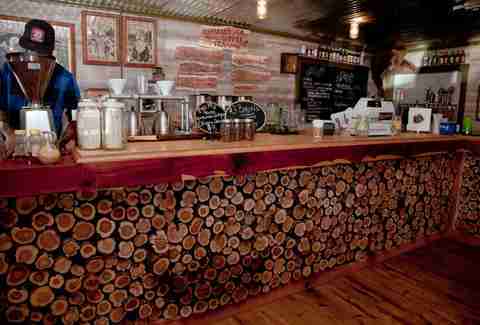 Buzz Mill flies the flag of 24-hour coffee, and although there are other late-night espresso options, it gets the nod for the strong lumbersexual vibes and even stronger food & drink programs. The Grizzly house roast, courtesy of Barrett's, comes from a single farm; the brunch offerings are as manly as a heart attack (elk hash! wild boar sausage gravy! ); and the house-infused liquors -- like jalapeño habanero vodka -- are fiery enough to put hair on your chest. A longtime standard-bearer of specialty coffee in Austin, Medici's coffee rep is well-known both in and out of the city. Despite a big expansion push in recent years (with new locations on South Lamar and at 8th and Congress), its maintained its quality by updating to fresh roasters like locals Wild Gift and Minneapolis-based Spyhouse. Each location has its own charm, from the ghost of Metro haunting the Drag, to the old Austin feel of the smaller Clarksville shop. 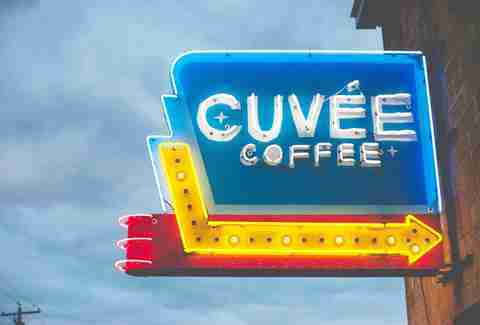 If you've had coffee in Austin over the past decade, you've had Cuvee. One of the city's trailblazing specialty roasters, Cuvee's beans are in some of the city's hippest restaurants. 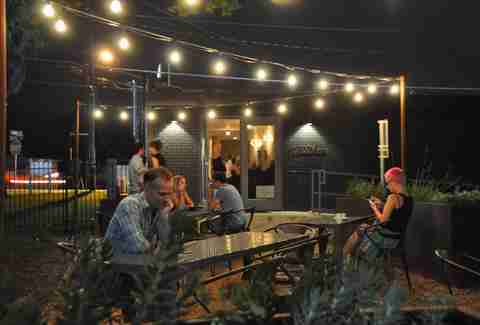 But the best place to enjoy the brews is at the East Sixth outpost. Just don't expect to camp out on your laptop: its no-Wi-Fi policy aims to keep the shop from becoming a computer lab, instead aiming for a conversation-driven community atmosphere. Bonus points for the nitro cold brew and solid craft beer selection. 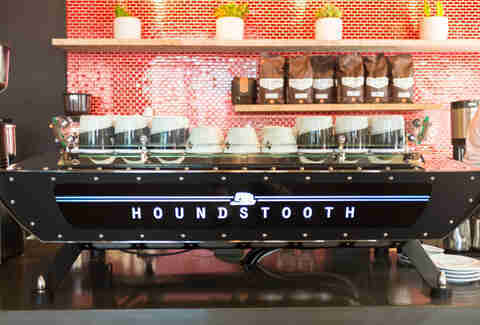 Houndstooth might be the champion of Austin coffee nerdery. Expect to be hit with an array of adjectives about your brew, and maybe a turned-up nose at the request for a foamy cappuccino. But Houndstooth has the quality to back it up. The place scores coffees you won’t find anywhere else, like PT's and Roseline, as well as industry favorites like Counter Culture, and Tweed, its affiliated roaster, which is based in Dallas. The no-nonsense vibe makes it a favorite work spot of young professionals, and a second location in the Frost Bank Tower offers Downtown office workers a much-needed grab-and-go caffeine fix. Cesar Chavez is now the hippest street to open a business, and although Cenote is only four years old, it feels like it has earned its status as one of the anchors of the district. Built into an old church, it's earned a spot in the hearts of locals for not only the clever pour-over coffee (from roasters like Houston's Greenway), but also one of the city's most underrated breakfast tacos (with local bacon! ), a solid selection of local beer taps, and half-off wine bottles on Wednesday for date night. 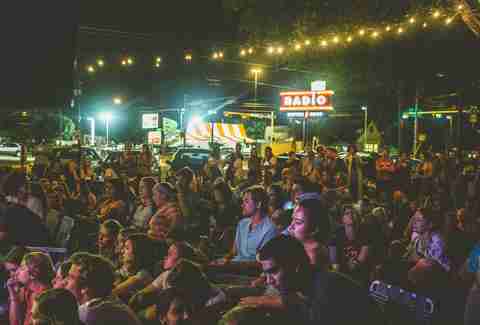 Few shops in town serve as the type of community hub as Radio, whose patio is a melting pot of South Austinites hungry for great coffee, beer, food, and entertainment. Stumptown supplies the coffee, while a roster of mostly local beer fills the tap, food trucks like Cazamance and Veracruz All Natural keep folks fed, and a packed calendar of music and outdoor movie screenings makes every night of the week feel like a special occasion. Doubling as one of the city's best beer bars, Brew & Brew's coffee selection is just as much a draw. The beans are ever-changing, with trendy roasters like Portland's Heart and Southern specialty chain Revelator making regular appearances. It's also one of the few places in town to score an AeroPress, and neighboring Byron & Blue serves as a community hub for everything from art shows to live comedy. 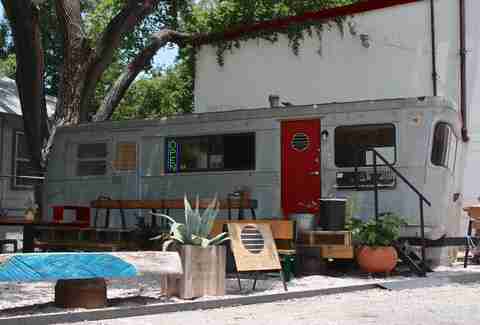 Like so many Austin businesses, Patika’s roots were in a trailer. Its Downtown Coffee Kart earned it a reputation for serving some of the best espresso in town, a level of dedication that carried over to the brick-and-mortar in the form of expert baristas and a rotating cast of coffees from locals like Cuvée and Wild Gift to out-of-towners like SF’s Sightglass. The space is clean, and the Nordic-influenced design is a perfect contrast to South Lamar’s hellish traffic, with subtle touches like a skylight making it one of the most calming places in town to work. Opened in the summer of 2015 by two of the city’s longest-tenured baristas, Figure 8 doesn’t joke around with its coffee, though it does dodge the overly serious attitude that you might see at some of the other shops on this list. The bar stools are usually populated by a motley crew of musicians, DJs, and service-industry types, but the service is friendly enough to have cultivated a loyal crowd outside of the hipster strata. Roasters from Portland and San Francisco round out offerings from home-grown operations like Tweed and Wild Gift. There’s no food beyond pastries or alcohol, but it’s still a solid brunch alternative thanks to Sunday afternoon 45s from DJ Lord High Pockets. Since back when it was known as Clementine, Thunderbird on Manor has been one of the anchors of the booming Cherrywood district. Its days as a hipster hive-mind are long gone, but the shop’s identity has aged gracefully into a neighborhood institution for laptop-toting students, young professionals, and older Eastside regulars. The coffee’s always been great, but these days, it's an even better place to meet for a low-key beer. The best little coffee trailer in town, Flitch is perhaps the most under-the-radar shop on this list. The hidden Tillery location in the courtyard outside Hatch Workshop makes it easy to miss, but the oasis-like environment makes for one of the most laid-back coffee experiences in the city. Thankfully, it doesn't skimp on quality, using beans from one of the country's best roasters, Amarillo's Evocation. Mike Cortez is a writer from Austin and has a big passion for Texas beer. He even wrote the book Beer Lover's Texas. Cheers him, or just share in his love for beer @TexasBeerGuide. Dan Gentile is a freelance writer who has been drinking coffee in Austin for 20 years. He spent some of the best months of his life as a barista at Clementine, but can no longer pull a shot to save his life. Follow him to more fancy coffee snobbery at @Dannosphere.